Switch after every 50′ lunge is complete. 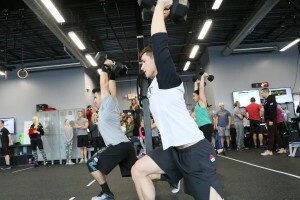 Rx: front rack lunges, Open rules for burpee box jump overs, except may step-up. 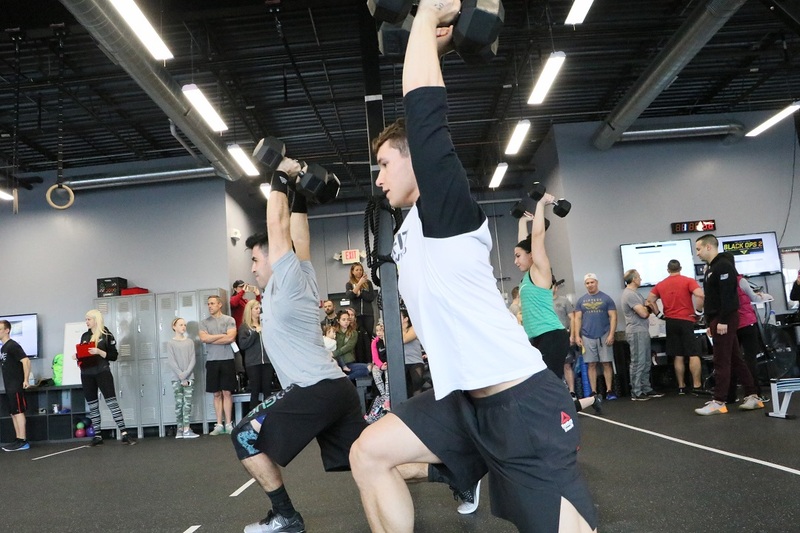 Rx+: overhead lunges, Open rules for burpee box jump overs, i.e. two foot take off.